Chicago's Sentry Safety Solutions provides professionally integrated high quality video solutions for your home, office, or installation. 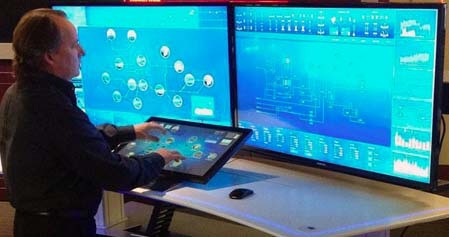 Our services range from CCTV, Video Collaboration, Advanced Visualization Solutions, Video Displays to the Command and Control Rooms that are the nerve center of organizations providing a comprehensive overview of various information sources. As the workforce becomes more mobile and distributed, leaders recognize the benefits and growing impact of video as a key part of business collaboration. Use video to accomplish what you cannot in person. Improve productivity by meeting with people in multiple countries in one day, or with hundreds of people at once. A good design performs inside and out. Turn to Sentry Safety Solutions for comprehensive surveillance solutions that empower your security staff, drive productivity improvement and make your facilities safer and more secure. 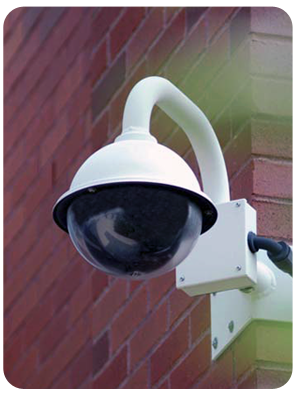 From closed circuit television (CCTV) systems that monitor perimeter fencing, points of entry/egress, docking stations and hazardous work environments to advanced applications that integrate monitoring and control of access control, security management and digital video surveillance/retrieval, we can meet your dynamic security requirements. Whether you’ve a single building, a campus or disparate geographical locations, Sentry Safety Solutions can custom design, install, integrate, monitor and maintain all of your security technologies. The ability to bring complex data to life is changing the way companies do business and researchers unlock mysteries. Now, advanced visualization solutions combine high-resolution, stereoscopic projection and 3D computer graphics to create a complete sense of presence in a virtual environment. Product visualization software technology allows viewing and manipulation of 3D models, technical drawings and other related documentation of manufactured components and large assemblies of products. Now, you can virtually touch it before you build it.